The final six episodes of Star Wars Rebels begin Feb. 19, ending its characters’ journeys and drawing the animated world closer to the events of the original 1977 Star Wars film. “Rebels” will air over three weeks, with two back-to-back episodes premiering every Monday night on Disney XD until the big 90-minute series finale on March 5. A new “Star Wars Rebels” trailer for these episodes—watch below—teases the series debut of Emperor Palpatine, who will be voiced by Ian McDiarmid, the same actor who played him Palpatine in the live-action “Star Wars” films. “Rebels” will end basically with the beginning of “Star Wars: Episode IV—A New Hope,” which spawned 40 years of movies, books and this and other prequel animated series. 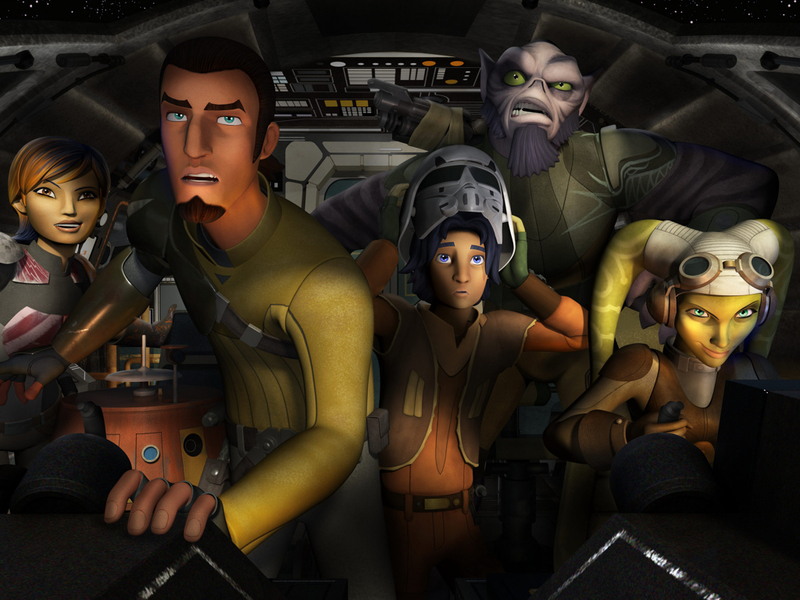 Series stars Freddie Prinze, Jr. (Kanan), Tiya Sircar (Sabine), Taylor Gray (Ezra), Vanessa Marshall (Hera) and Steve Blum (Zeb) all return for the final episodes. Other voice cast members include Dee Bradley Baker (Captain Rex), David Oyelowo (Kallus), Mary Elizabeth McGlynn (Governor Pryce), Lars Mikkelsen (Grand Admiral Thrawn), and Warwick Davis (Rukh). Disney XD on Friday also released key art for the finale episodes, which you can see below. The episodes will air on several platforms. The schedule below list all times in Central. New episodes will be available on VOD and digital platforms the day after their linear and DisneyNOW premieres. Viewers can also catch all previously-aired “Star Wars Rebels” episodes from Season 4 on the DisneyNOW App. Emmy Award-winning executive producer Dave Filoni created “Star Wars Rebels” with Simon Kinberg and Carrie Beck. Filoni and Kinberg executive produce the Lucasfilm Animation production. Henry Gilroy co-executive produces.